The original is a Spiritual. 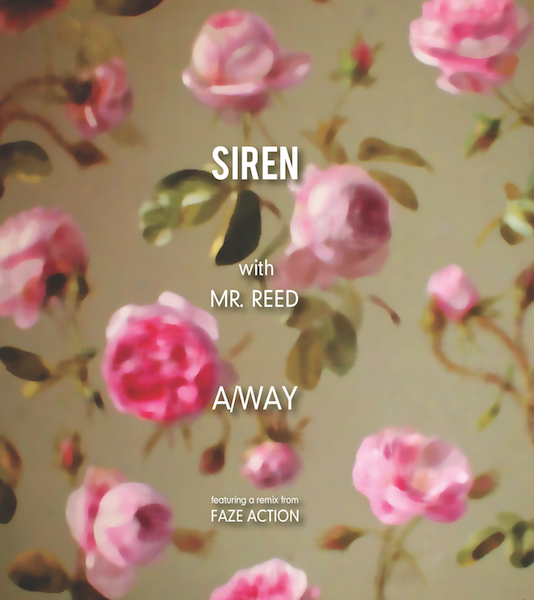 Vocalist Mr. Reed making like he`s rushing to paradise. The acoustic strumming of Barrabas gone House. A brass fanfare like sunshine breaking cloud. While Siren`s debut 12, “Gauntlet” inhabited shadow, “A/Way” is out in the light. For the Dub, Faze Action, the Brothers Lee, spin the mirror ball, turn the Disco up to 11, with bongos, a “Deputy Of Love” piano, and one of their trademark bouncing bass lines. They keep the brass, keep the six string, and keep `em playing. Moving on up. Don`t let `em stop. The Gospel now a High Energy Torch Song. A song of struggle through love`s map, of battles over its twisted terrain. You can find out more about Siren here.